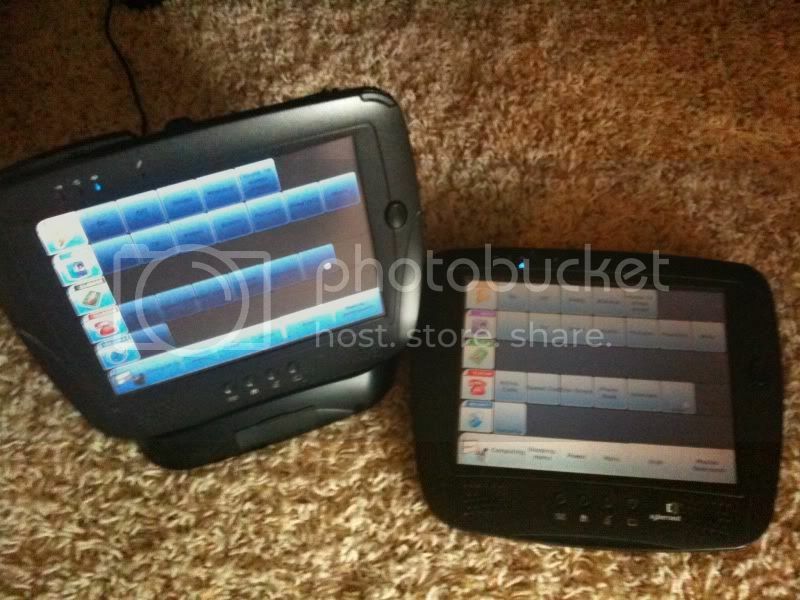 Two Web DT366 touchscreen remotes, both in great condition. No scratches on the screens or moldings, both fully functional and in great condition. 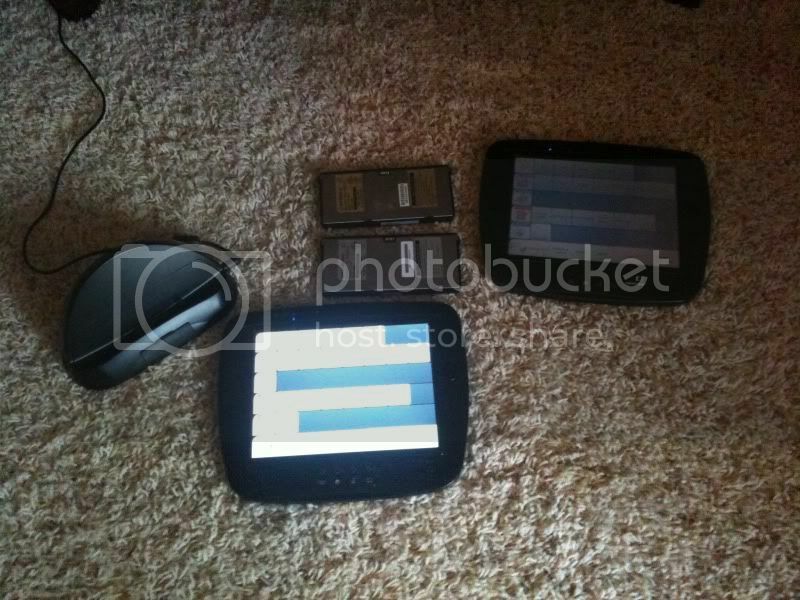 Also I have a clip on battery and a charger for each touchpad, along with one cradle. I prefer to sell them as a pair and I am asking $400 for the pair. Please PM me, or email me. Hauppage brand, fully functional works great. $60 shipped anywhere in U.S. If interested PM only, do not email. I am selling the system that I currently run as my test system, I have no need for it now that 810 is treating me well. So if you are looking for an easy way to get three rooms up and running with minimal work.... here it is. 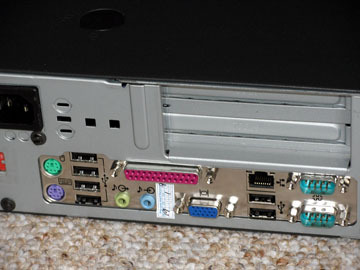 I also have a Dell 24 port switch that I am throwing in just for the hell of it. 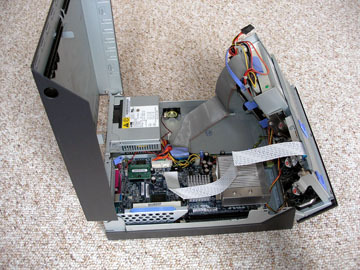 It consists of a Dell desktop for the core. 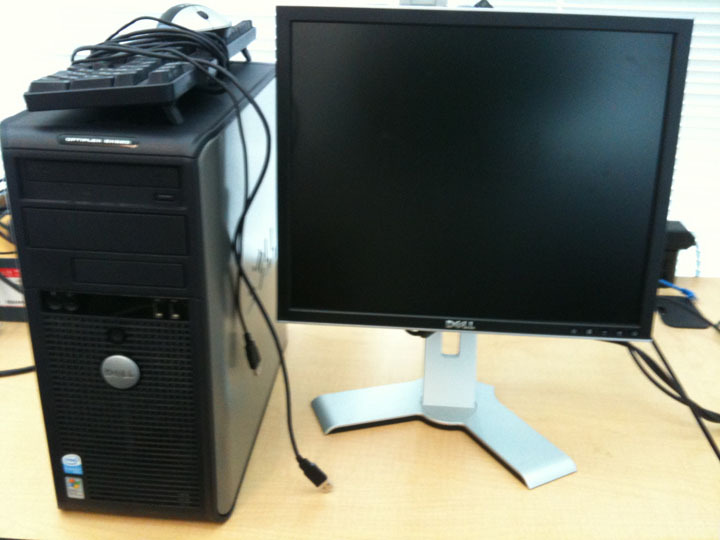 1 Dell 19" LCD screen VGA and DVD inputs. Keyboard and optical mouse included. I have had this system up and running with 710 and 810 LinuxMCE with no issues, both the core and MD's are plug and play (no configuration to get LinuxMCE up and running). It is a cheap and very capable way to get into LinuxMCE. PM me if you need any details. Both the core and the MDs will run UI1 with no issues, for UI2 you will need a nvidia video card. ** all three pc's have windows XP COA if you choose to go that route. 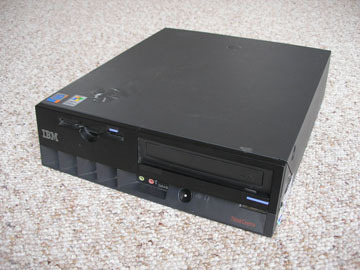 I need a usb tuner card now that i have switched Mobo's so I am putting my pvr-150 up for sale. Nothing much to say about it, its in good shape and works as it should. Asking $30 and I will pay shipping. I needed a way to access the preset camera angles that my Zavio IP camera has so I created a new screen, and put in the codes for the camera movements. I also took the initiative to enlarge the viewing area to make the picture bigger. Here is the end result. The movement arrow buttons extend into the picture, so there is more button there to touch to make it easier, the buttons accross the bottom with asterisks are the preset buttons, I left the two in the middle blank in case I decide to implement zoom in/out or some other function. I would be willing to retrace the steps I took and record on my desktop if there are enough people interested in such a tutorial. Just wanted to let you guys know that I got my zotac board booted up as a MD yesterday and that I have started a wiki to show the steps necessary. I will post anything I come across both here and on the wiki page. I had to reinstall 810 yesterday and I took the liberty of shooting a video of it just in case there are still people out there afraid of doing the install. It is really simple and probably doesnt warrant a video tutorial but I was scared to try it the first time so.... here you go, proof of how simple it is. disclaimer: I put no effort into this video, there has been no editing done, it is no masterpiece and there are some parts where I actually screwed up. Also I was too lazy to smash them all together so there are 6 vids so you dont have to watch my konsole DL files. If you found this helpful let me know and i might make some others, and I might even edit them if your lucky. Just wanted to post to see what stage this plugin was at. I noticed it on the last update but dont have any clue if it is ready to be used or how to use it. Any clues would be appreciated. Mainly just wondering if anyone has noticed any differences with IP cams on 810 vs 710. I installed this camera on 710 using the wiki for axis camera's using motion wrapper. It installed without a hitch. Now that I have upgraded to 810 i use the exact same steps and verified that my 810 admin page was identical to my 710 admin page and i cant get the feed to show up.... anyone have an idea how i can figure out what is going on here? Just wanted to get a thread going, I am attempting to reskin UI1 and maybe make a few layout changes as well. Here is the first portion. Disclaimer: " This thread is meant for praising all the coolness of 810, not in any way downplaying 710. Also, no one knows when 810 will go beta so don't use this thread to ask." 10. Lots of little fixes or upgrades that will make for an overall better experience. Thats my list, feel free to add on because I know I missed some stuff. I think the 810 release would be the perfect time to implement this because we could start with a blank slate, put all of the current info into the archive, and then new posts going forward would be related to the new release (avoids the question of "are you talking about 710 or 810?"). I think this would help out with organization and might keep down all the repeatative questions, also it might be a little less overwhelming for new members to the forum. Plus now that we have moderators it will be much easier to move threads into their proper channel if they are started in the wrong place.